If Santa Claus had a ground operation going, this would be his ride. Just in time for the holiday season when packages need to be delivered and office parties need catering, Land Rover has revealed the Discovery Commercial, now on sale in the UK. Will it come to the US? 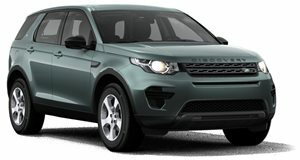 Land Rover has yet to confirm this, but the idea of a Land Rover delivery SUV is definitely pretty cool. Land Rover claims the Discovery Commercial shares the basic underpinnings of the regular Discovery, but the suspension has been tweaked for more responsive handling while keeping its proven off-roading capabilities fully intact. The Discovery Commercial is only offered with four-wheel drive, an automatic transmission, twin-speed transfer box, air suspension, and a full-size spare wheel. Under the hood lies a choice of two familiar engines, the 2.0-liter with 240 hp and the 3.0-liter V6 diesel with 258 hp. Inside there’s only front-row seating, with the rest being made available for cargo. Speaking of which, Land Rover claims there’s a total of 113,260 cubic inches of load space. Aside from the rear doors, there’s a power tailgate out back allowing for cargo access. But unlike most other delivery type trucks and SUVs, the Discovery Commercial combines both driver comfort and all-terrain, all-weather capabilities. For example, there’s the InControl Touch Pro infotainment system, cruise control, Autonomous Emergency Braking, and the Terrain Response System. Land Rover is teaming up with Bloom & Wild, a flower packaging company, for the Discovery Commercial’s initial launch. Prices begin at 48,695 GBP, or about $65,000 if you do a direct currency converter. But if Santa Claus was looking for a fleet of tough SUVs for his ground operation this year, it looks like he’s got the UK covered.